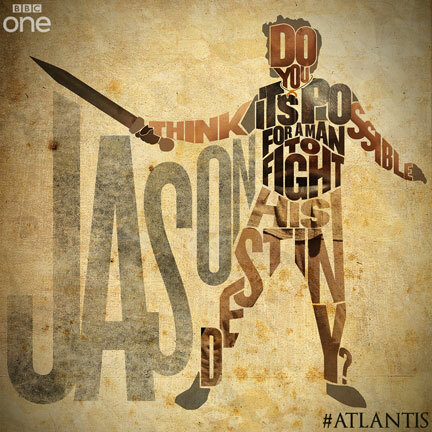 When I first saw tidbits about BBC One's upcoming show Atlantis I was very intrigued. They had a wonderful ad campaign. Well... they did until recently. All the new teasers and still shots are starting to look a bit goofy. Too day-time television and not nearly as wonderful as the show Misfits, which was penned by the same fellow- Howard Overman. 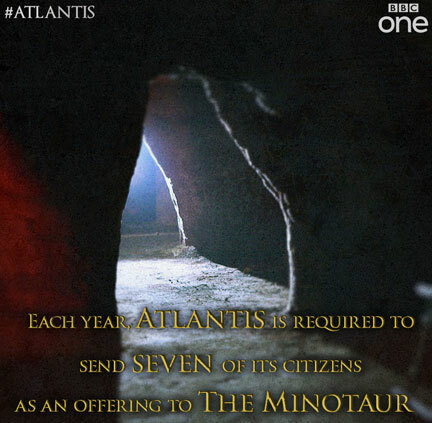 It would be worth mentioning here he also did some episodes of Merlin, which is what Atlantis is presumably replacing. Are they just smashing the stuff together? Because if it is Jason of the Argonauts, and on Crete with the Minotaur, they're chronologically at least a generation apart. As a mythology enthusiast these things bother me a LOT! This show reeks of Hercules: The Legendary Journeys, and not for the better. We've gotten better cameras and special effects so television watchers would like to expect something at least as good looking as Misfits, and hope for something as amazing looking as Game of Thrones, with writing somewhat on par with BBC's Sherlock. We certainly do not wish to be watching an even worse version of the more recent Clash of the Titans films, dumbed down even further and made for the small screen. I suppose I'll suspend my issues and complaints until I watch an episode, but I sincerely hope this starts looking much better than the ridiculous promo clips I've seen. Each new clip looks more terrible than the last. PS: Using the Riddle of the Sphinx from the Oedipus myth is also confusing, because it, too, was not only in a different time, but in a completely different place than both Minoan Crete and Atlantis.